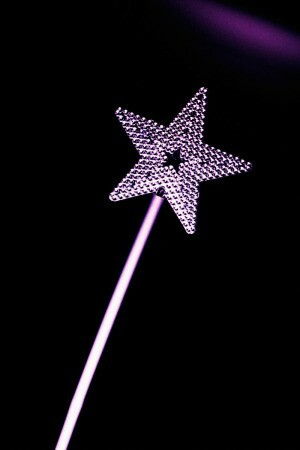 What child or may even an adult wouldn't want a magic wand to complete a costume or just for everyday magic. This is a guide about magic wand crafts. These are perfect wands to make for a girl's birthday! Or for your child to play with. 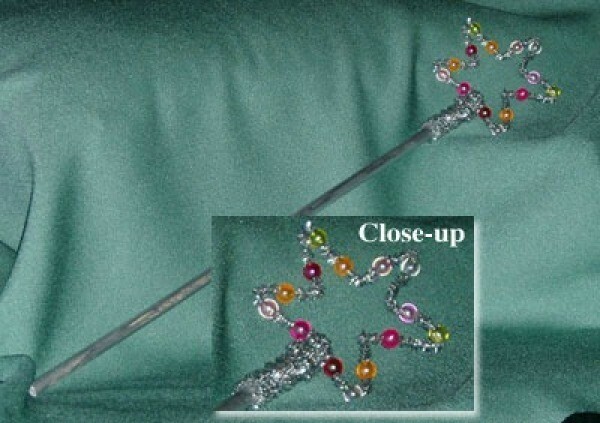 Your child can play with this wand at home, during dress up, or outdoors. They are very inexpensive to make and are made with items you may already have around your home. Paint dowel silver. Allow to dry thoroughly. Glue 1 silver tinsel stem 2 inches from the top. Wrap the silver tinsel stem the rest of the way to the top. Place 2-3 beads on the silver tinsel stem. Shape the tinsel stem into a star with 1 1/2 inches per side, arranging the beads in a pleasing pattern. Leave 1 inch for finishing. Wrap the remaining 1 inch on the dowel and glue the end to secure. Voila! A Magic Wand to charm the heart of any princess. Also see the Beaded Terrific Tiara. 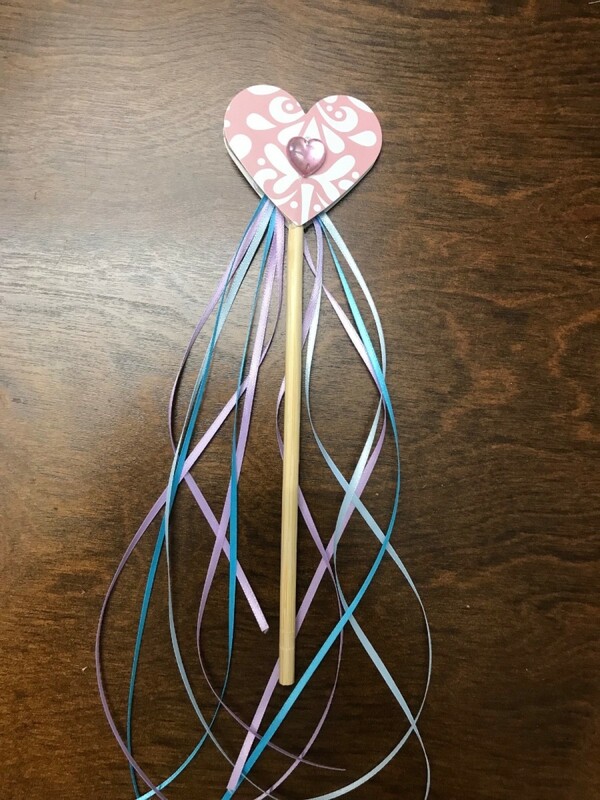 I made matching wands for the daughter's dance class. Their costumes were bright green with boas. I took the cardboard portion of a wire hanger and hot glued a little fur to the top. They loved it! 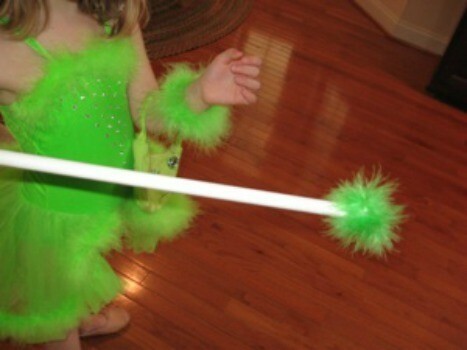 Here is an easy wand to make for a Halloween costume. My niece wanted a magic wand after watching some Harry Potter movies. I found an old drum stick at a yard sale and painted it in colors that she likes and added glitter. She really likes it.